Spend 6 days and 5 nights in the sacred land of the dragon, a spiritual mecca for seekers, in the shadow of the Sangre de Cristo Mountains. 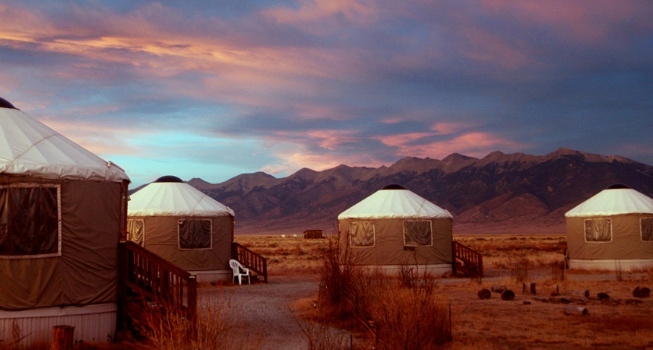 Crestone is home to over two dozen spiritual sites including ashrams, temples, a ziggurat, stupas, monasteries, and retreat centers of many faiths. It is a holy land, which preserves world wisdom traditions in harmony with nature. We will visit and tour some of these sites and centers and participate in their meditations and ceremonies. Bob Ferry is an experienced Yoga and Meditation Instuctor, teaches Aqua Yoga, Yoga for Cancer Survivors, and Qi Gong/Tai Chi to students with MS. He is also a Reiki healer, a native American flute player and a person who fel in love with Crestone on his first visit. In retirement, he is following his vision to teach and heal. He lives in the DFW area.